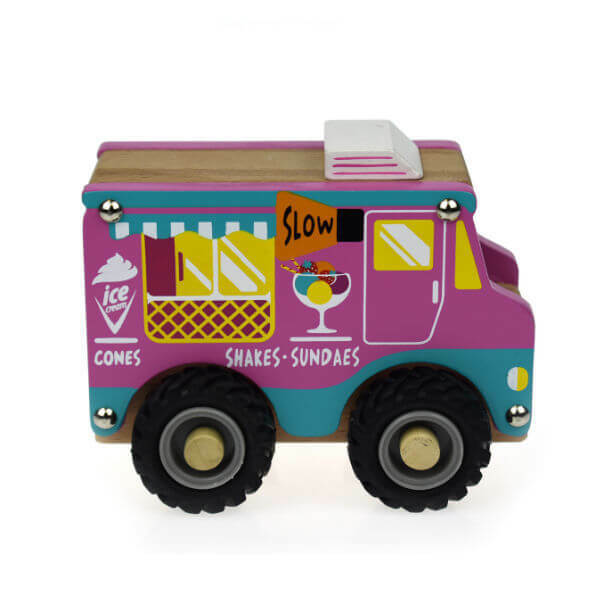 The PINK WOODEN ICE CREAM TRUCK WITH RUBBER WHEELS is simply adorable! Drive it around, make the music sound and stop to serve yummy ice creams to all the customers. 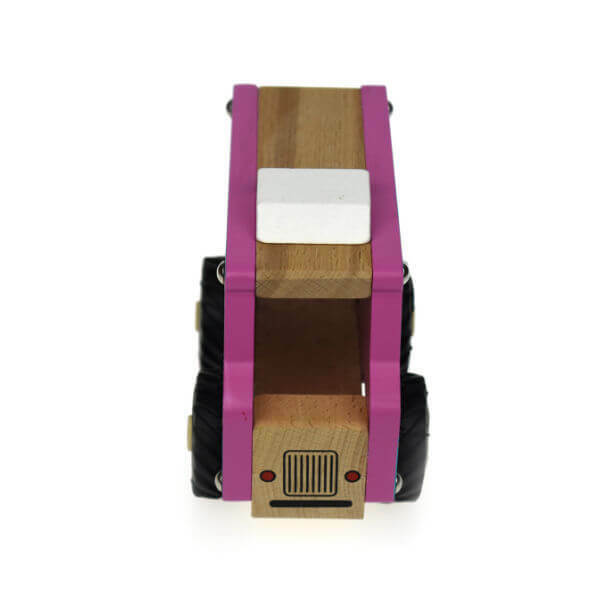 It’s lightweight and just the right size for small hands to manoeuvre or carry around. The delicate painted detail, solid body and chunky wheels will certainly make it a popular choice. 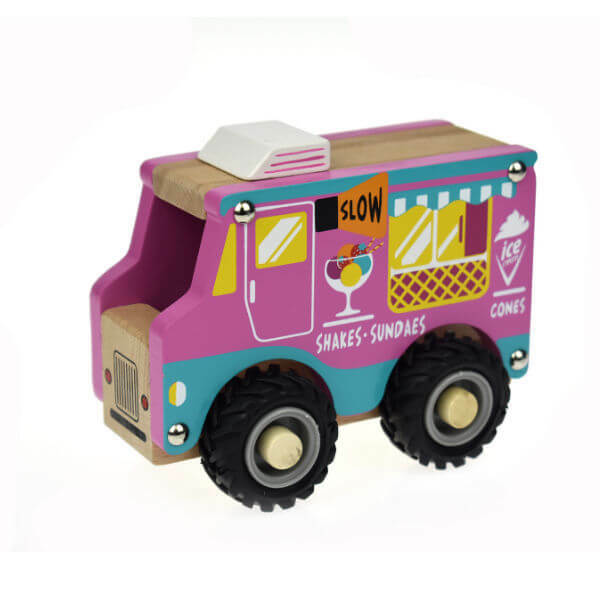 The PINK WOODEN ICE CREAM TRUCK WITH RUBBER WHEELS has been made from eco friendly plantation timber and is finished in child friendly non toxic paint. The cardboard packaging is also good for the environment! It’s part of the fantastic range of toys by Australian owned Koala Dreams brand and conforms to Australian Toy Standards. Simple design and solid construction ensure that this range of trucks are long lasting and safe. The pieces have been securely fixed ensuring that there are no small parts to come off. The large rubber tyres allow for fun in all terrains.